DOES one need an SPR/Mk.12-style rilfe, IN the urban jungle? Can one be deployed USEFULLY, should the need arise? Would it be useful or even necessary, in that worst case, grid-down, SHTF situation? If you live on the lone prar-rie - where a thousand yard shot is possible in all directions - perhaps it's never crossed your mind! A long-range rifle is as necessary as a pickup, a tractor and a good pair of work gloves. But what if you live IN 'rowhouse central' - where frontyards are measured in square feet, you can hear your neighbor's TV... 7 houses up the block, and your line-of-sight from the street level, almost NEVER exceeds 200 yards (and is most times LESS!)? What purpose could it POSSIBLY serve there?!?! Living in the urban cessmaze, clearly the need FOR an AR is justifiable - what one must consider in such an urban area as sw PA, are the RIDGELINES - one of the highest of which, I live along (elev. 1,200' above sea level at my house). 3rd story/rooftop deployment is all possible here, where one might actually take advantage of a 200-300 yard line of sight. Terrain features, structures, etc. provide a LOT of cover for 'restless sorts,' should it all hit the fan. Having not only the high ground, but the PROPER tool by which to utilize said ground, is useful EVERYWHERE - hence the idea behind this project. This was a bittersweet project to be a part of. My good friend and local builder, Kevin Johnson (Johnson Tactical Rifles, LLC - BEFORE his website is gone! https://www.johnsontactical.com/toc/) here in Pittsburgh finished my 18" SPR, last August. It was a LONG time coming, as barrel blanks were hard to come by that summer, but it was well worth the wait; his work always was. As it turned out though, this was in fact, JTR's FINAL rifle. Kevin moved to Washington state for a new job in September, and we were all certainly happy for him (we threw him a going-away dinner before leaving!) at getting new work with a good company (REI), but we're DEFINITELY missing him around here. If you wanted SERIOUS rifle work done (which my craptacular photography will NOT do justice to) in Pittsburgh, Kevin was who you went to! • Full Auto Carrier, High Pressure Tested and Magnetic Particle Inspected Bolt properly staked and lapped flat carrier key. Chrome lined Young National Match carriers available! • Mil-Spec Forged 7075 T6 upper receiver with T-markings, forward assist, hinged dust cover, and M4 feed ramps. 1. These uppers feature my Limited Life Time Warranty. 2. High Pressure Testing followed by Magnetic Particle Inspection assures a rock solid bolt. 3. 223 Wylde chamber increases accuracy and works with 5.56 NATO or .223 SAMMI spec ammunition. 4. Every upper is built by one person from start to finish. 5. I guarantee that every SPR Upper will hold sub-MOA groups and prove that by sending you a picture of the test! 6. I custom fit the rail/upper, chamber/bolt, gas block/barrel, and comp/flash hider interfaces to insure a highly accurate build. 7. We align our barrel blanks to 2/10000 of an inch bore alignment before threading or chambering! 8. 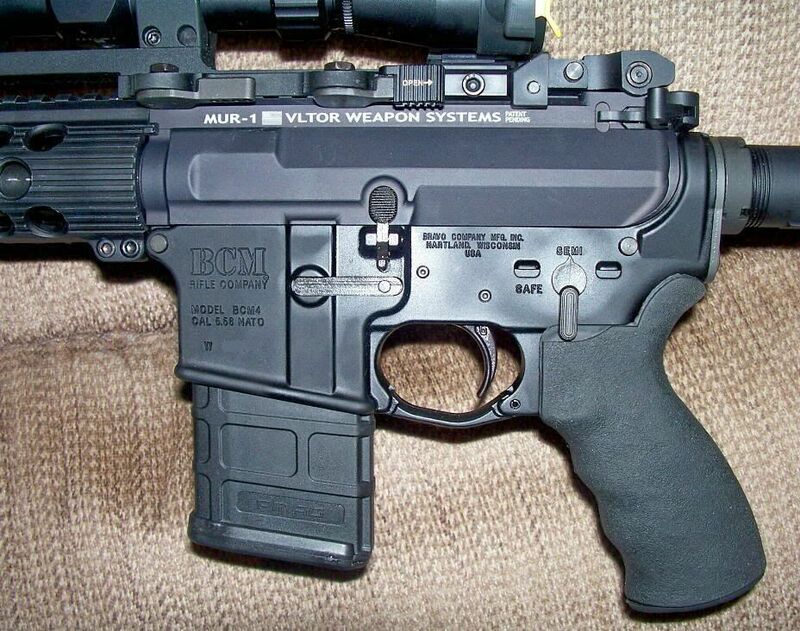 These are uppers are built for pushing the 5.56 to ranges unheard of before. I use the Gritters or Two Line method to chamber my SPR barrels. It adds UP MOA to the shot allowing you more elevation at distance. I went with his custom nitrided barrel. -Only available with a .223 Wylde chamber currently. -My base profile is a modified medium contour. Mine features a Viltor MUR 1-A upper, BCM lower, and Giselle SSA-E trigger. My LaRue mount, Leuplod Mark/AR scope (I wouldn't have minded better glass, but given my limited line of sight, the Mark AR is an inexpensive choice to accomplish the task, in this case), and Optima 2000 offset dot are all installed as well. PWS FSC556 f/h, Troy BUIS, and bipod finish it off. I'm going with a basic 2 pt. web sling to tote it with, which has since been installed. Here we go. I'm still pretty bummed about Kevin leaving - I hope folks on the west coast treat him right. Not only is he a QUALITY rifle builder, but was a great sounding board - someone I could always call up or e-mail, and get a good, CORRECT, answer to my questions/problems. He straightend out the TacSol upper I screwed up, sold me several parts - from lowers to optics along the way - added an ambi-safety to my Kimber UC II, built my Landshark lower (so I wouldn't scratch Sam's [Tactical Toolbox - Mapleton, OR] great cerakote job on it! ), and built this SPR for me. Because I had to, from time to time, go right past his house, I knew I could always drop in, shoot the breeze, drop off or pick up a project, and really tap into his expertise. It's one thing to get to know somebody by e-mail, or board posts, which we all do on these sorts of boards. But Kevin is GOOD people, so losing his operation here - as bad as that is - is made doubly worse, by losing HIM. One more update to follow! The brighter Aimpoint makes MUCH more sense for outdoors application, and since I already run a T-1 on another rifle, and other Aimpoint optics as well, familiarity with this piece of equipment made it a logical upgrade. Don't have any pictures of it in action yet, but I hope to post some soon! Beautiful rifle. Seems you have some very end stuff. I hope you get to shoot it soon, at range of course. 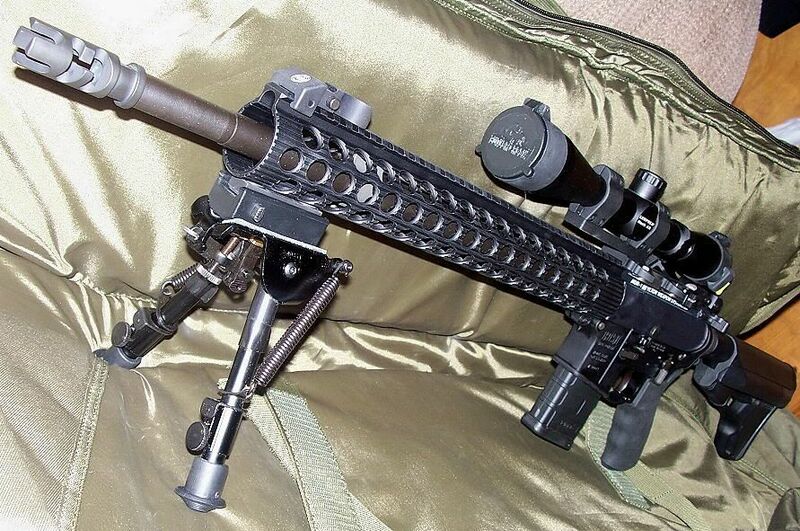 In a true all out combat SHTF situation a Mk12 could and would be extremely useful in an urban setting. Little known fact: During Operation Iraqi Freedom, 3 US Army SOCOM snipers armed with Mk12s and Mk262 OTM ammo took out an entire company of Iraqi infantry out in the Western desert of Iraq at ranges up to 600 meters without a single loss of their own. How do you like that trigger with an SPR setup? Ive been looking at it lately. I built one recently and put a Spikes Battle trigger in it. Long story short its just not what I wanted for an SPR trigger. I'm trying to give it some time to smooth out but the pull is just too heavy. 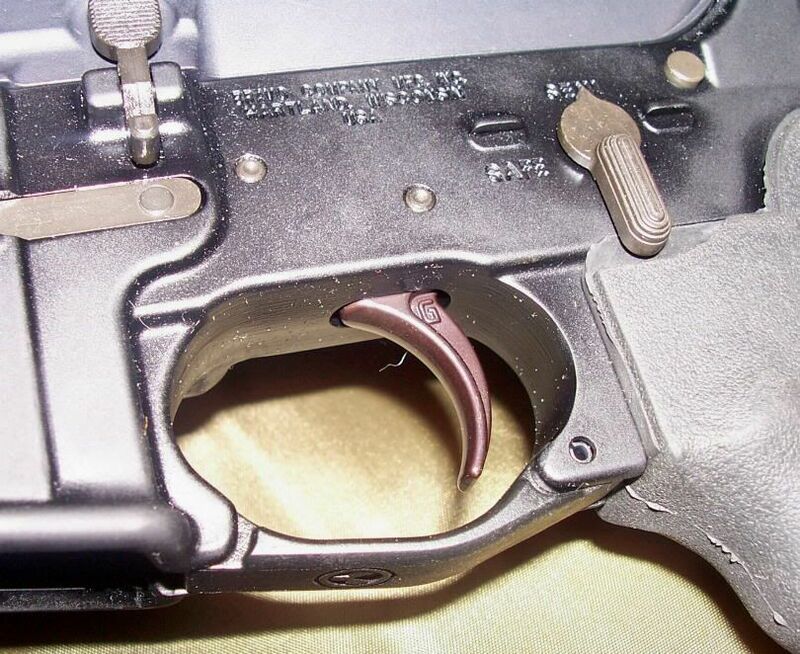 I had a CMC match trigger in mine. It was the drop in modular unit. I thought that was a huge upgrade over the stock AR trigger, and should be plenty suitable for a precision rifle. 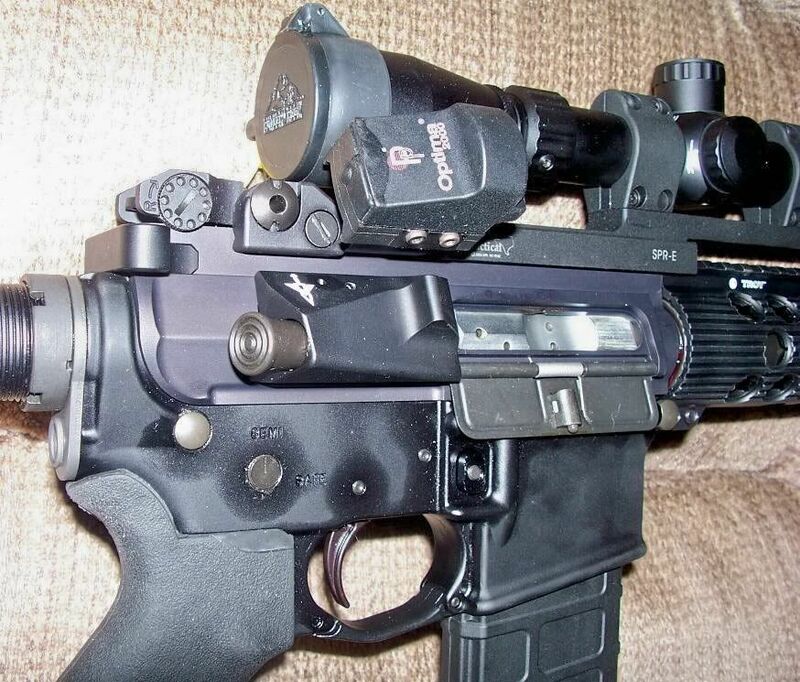 (09-12-2012, 05:14 PM)csmith Wrote: How do you like that trigger with an SPR setup? Ive been looking at it lately. I built one recently and put a Spikes Battle trigger in it. Long story short its just not what I wanted for an SPR trigger. I'm trying to give it some time to smooth out but the pull is just too heavy. I have an SSA in my HD carbine, and the SSA-E in this. The takeup is not crunchy, and the break is as smooth as the Timney I once had in my POF-415! I believe one can EASILY justify a Timney, Chip McCormick, et.al. 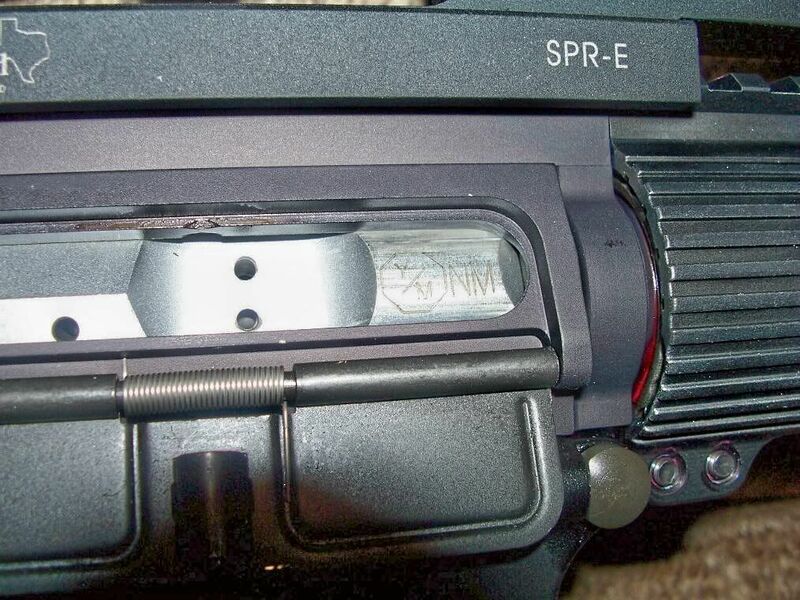 type trigger in an SPR, but the SSA-E works JUST as well, if IN a different way (with the takeup). I actually had Williams Trigger Specialties put one of their SET triggers in my PTR91 (also set up for long range work); the take-up and release is actually very similar! 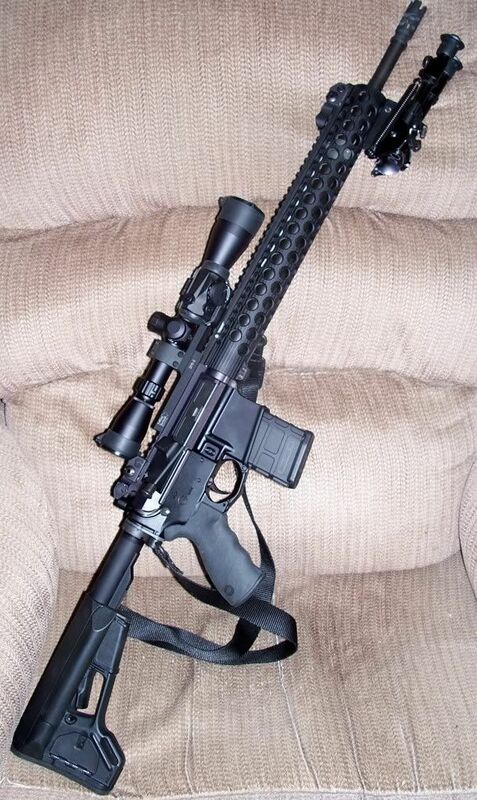 There's also the SSA-E which should, as designed, be even better for an SPR at around 3.5 lbs total. The Muffin Man, proud to be a member of pa2a.org since Sep 2082.